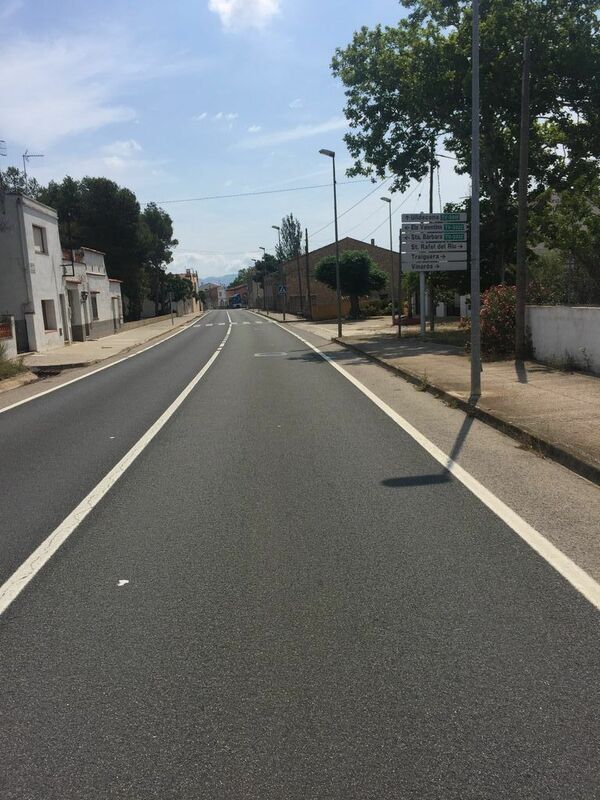 La Sénia proposes 5 biking routes amb bici de carretera suitable for all. 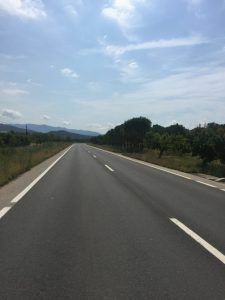 We may enjoy visiting Maestrat lands with those 2 small mountain passes at Valltorta or Bandereta, or the flat land route over Delta de l’Ebre or some mountain ones like Volta a la Terra Alta and climbing to Torremiró through Morella and, as the jewel in the crown the climb to Mont Caro, on 18 km at 7,4%. All Delta’s colors: brown in winter, blue in May, green in summer and yellow in September. A route that will take you around the Parc Nacional del Delta and will show you the different environment that there is in our zone. Road conditions: we only find better road condition from Delta to Poblenou and Els Eucaliptus. The rest is great asphalt road. Traffic: heavy traffic between Alcanar and Sant Carles (N-340). Depending on the season, or if it is holiday or vacation term, some of the roads will be busier than usual. 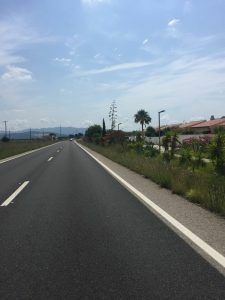 Provisioning: it is recommended to stop in Sant Jaume d’Enveja or Deltebre, although you can find anything you need in every town of the route. There are no mountain passes in this route. Water: we can find sources in the different villages where the route passes; outside the localities it will be difficult to find a source. There is an amazing mountain pass in our zone: Caro. It is 13 km long and the average height difference of about 9%, with a 3-4% average height mean rise during the first 8km. This route will let you get to know it, and also, a part of Parc Natural dels Ports. However, as you will be in La Sénia, you should go to Bel, El Boixar, Fredes and Pallerols, next to our town. Road conditions: asphalt better condition road the last 4km on the way to Caro. 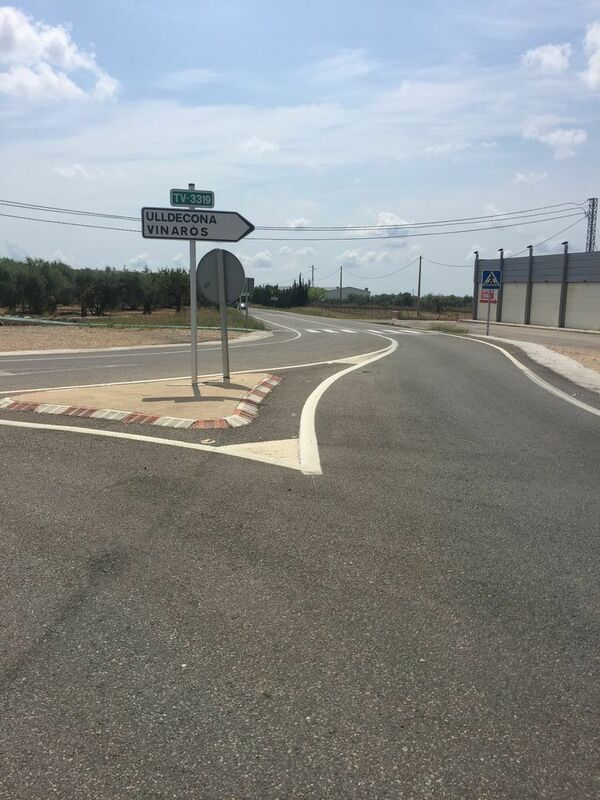 The rest of the track is fine, although there is a narrow part of the road between La Sénia and Mas de Barberans. Traffic: can be heavy on the C-12 when leaving Roquetes, where in addition there’s no sidewalk on a stretch of the road. You must proceed with caution! For the rest of the route, the traffic is low or very low. Provisioning: in Caro’s urbanization there is a restaurant where you can have a coffee or even breakfast. 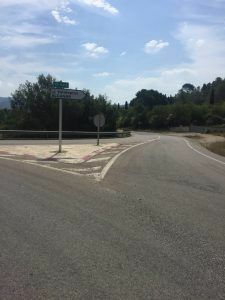 You can also stop in Roquetes. 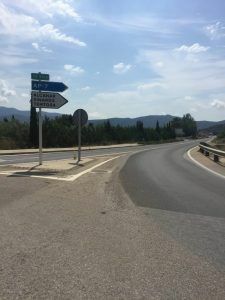 This route will take you to Morella going through Vallibona, getting to Santa Àgueda and topping to Torremiró on both tracks, amazing through the Herbés. Also, once you will get to the top of the mountain pass it takes 25km to get back again, on a field full of ramps and slides. 155km and about 3,000m difference of level that will leave you really satisfied. 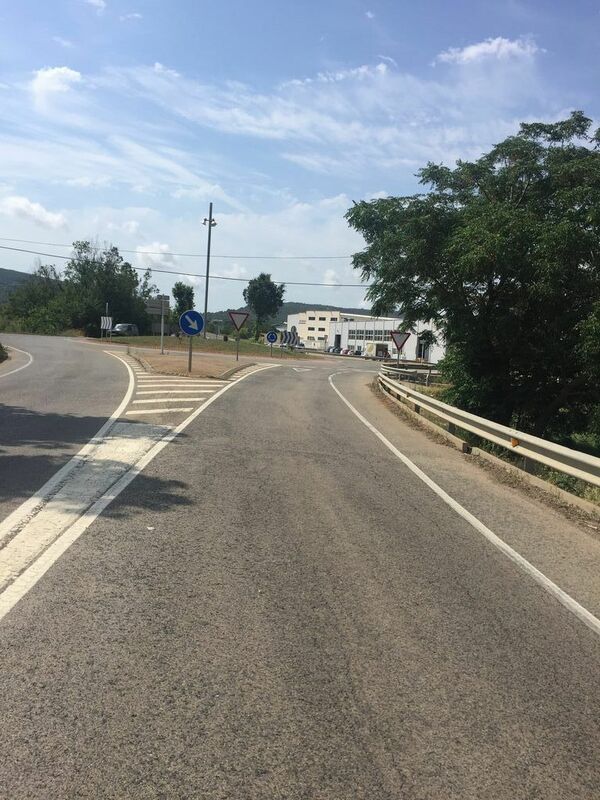 Road conditions: best at some points between Rossell and Vallibona. You will also have to be careful as you will probably cross the Servol river several times. 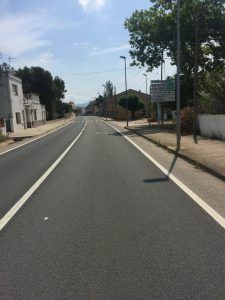 The last part of the way to Santa Àgueda is shriveled asphalt made. And last, the conditions are not at its best between Castell de Cabres and El Boixar. The rest is great asphalt road. Traffic: Certain intensity on the N-232 road section. All the rest is low and between Rossell and Vallibona and from Penya-roja to Fredes it is practically non-existent. 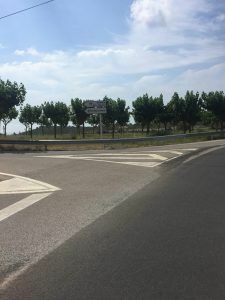 Provisioning: In all route villages there are some places to have a coffee or breakfast, but if you want to stop, it is recommended going to Morella. The mountain passes of La Bandereta and of Valltorta are breathtaking. The first one, although short it is pretty intense (only 4km long) and 8% average difference. The second one is longer and easier, with some hard parts as well. In this route, you will discover the dry, hard and amazing Terres del Maestrat. Road conditions: excellent throughout the journey. Traffic: low all over the track; certain intensity between La Jana and Venta de la Serafina (N-232) and from Benlloch to Les Coves de Vinromà (CV-10). Provisioning: you can find a lot along the way, but it is recommended to stop at Benlloch, as there are many cyclists encounters. You will be amazed by Terra Alta’s landscapes between Bot and Gandesa, where you will find the mountain passes of Coll de Bot and Coll de Som that, even though they are not really difficult, create a lovely scenery and you will enjoy the ride next to the Ebro riverbank. One should be ready for those 152km, a route without any undue difficulties. 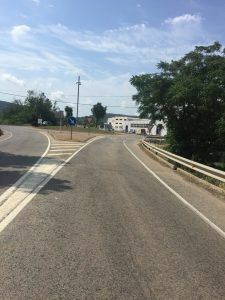 Road conditions: great asphalt road, proceed with caution between Pinell de Brai and Benifallet, as the way down is steep. Traffic: can be heavy on the C-12 between Tortosa and Xerta and between Tortosa and Vinallop. Provisioning: it is recommended to stop in Bot or Gandesa, as much as in any village on the route.